April 4, 2019 | -by: Kevin George. Email marketing has always been the favorite marketing channels owing to the huge ROI it yields for the brands. It has gained immense popularity as creative possibilities have attained new heights with the advancements in email design. 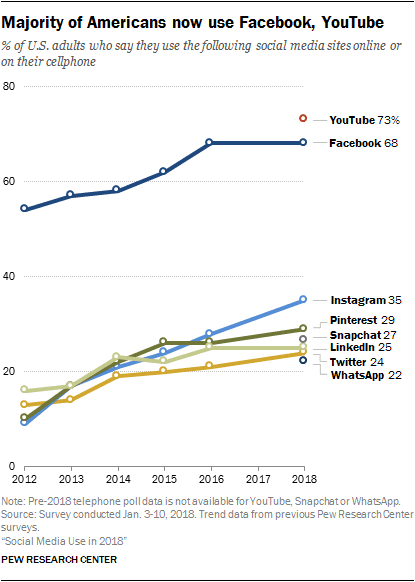 Most of the brands these days take help of email newsletters to keep the subscribers updated about the products or services and ultimately enhance engagement. An email newsletter can prompt the subscriber to visit the website and check out your products or services. You can send out a special discount coupon in the newsletter to increase the organic visits on your site. The more website visits you have, the better will be the conversion rate. Many brands are collaborating with established companies to get featured in their newsletters. This can widen your reach to a new audience and let them know about you, which in turn builds credibility for your brand. 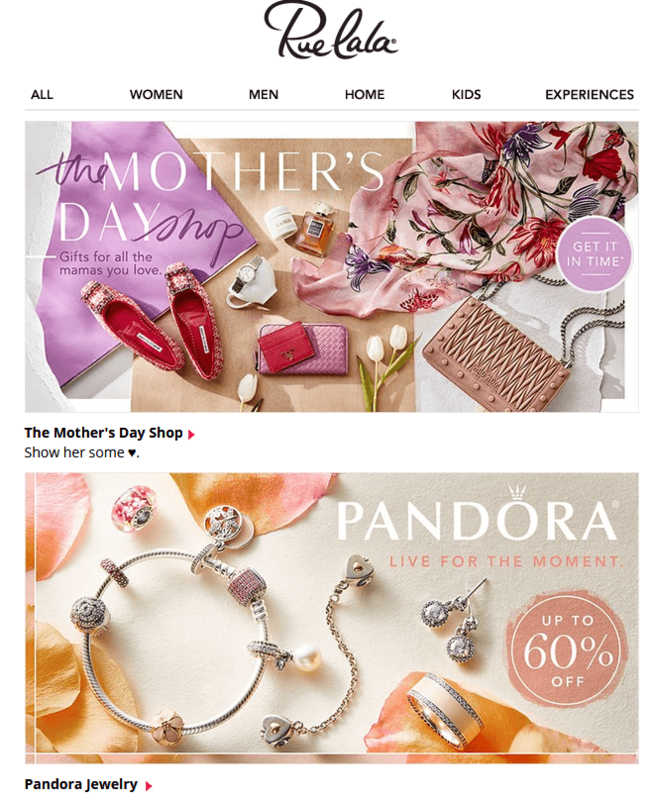 For example: Multichannel Merchant features partner content posted on Listrak in their email newsletter. Including social media icons in your newsletters reflects that you have an active social media presence. With the increasing popularity of social media, it becomes imperative to unite the power of social media channels and email. Email newsletters at regular intervals not only engage your subscribers better but also help you in growing your social media community. Your subscribers are looking forward to a long-lasting rapport with any brand they choose. An email newsletter can inspire a sense of trust in the subscriber’s mind and persuade them to make the purchase. Your prospects choose to buy from you if they trust you. Your sales pitch does not impact their decision as much as the fact that they connect with your brand. That said, let’s delve deeper into some newsletter ideas with examples to inspire you. 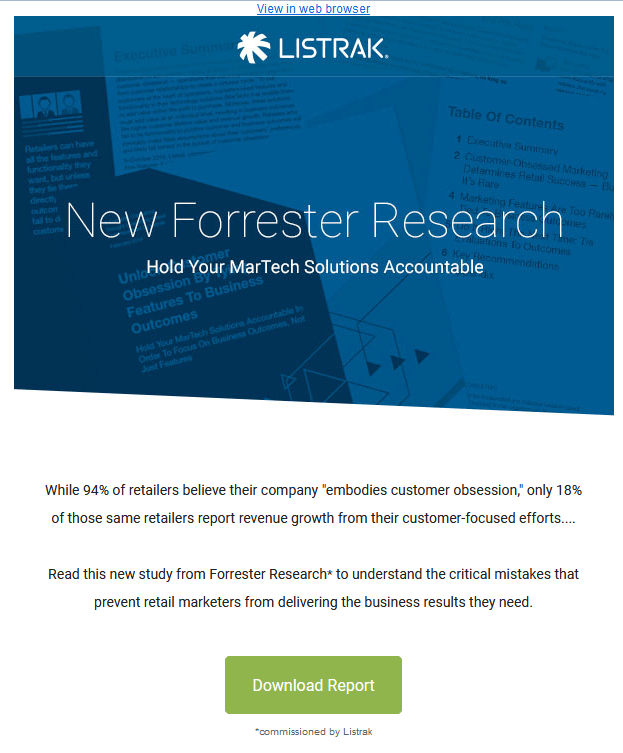 Email marketing works the best when you address the challenges of your subscriber. That’s exactly why a subscriber signs up for an email newsletter. How-to guides enlighten the readers on troubleshooting a problem they might be facing. 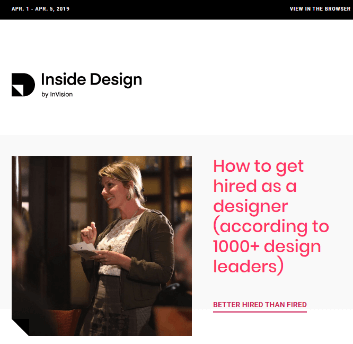 InVision sends an email newsletter that shares valuable information on how to get hired as a designer. Sending recommendations based on the previous purchases of the customers or their past interaction and products searched for, goes a long way in driving conversions. It compels the recipient to click-through and helps you cross-sell or upsell your products or services. Take a look at the email by Coursera. As machine learning is gaining immense momentum in the modern times, they have shared all the courses related to machine learning and AI. As the CTA is clear and easily visible, it increases the likelihood of getting clicked. Special occasions like birthdays, anniversaries, Easter, Mother’s Day, Father’s Day, Valentine’s Day and Holiday Season present ideal opportunities to write an awesome copy in the email newsletter if you are in service-based industry. 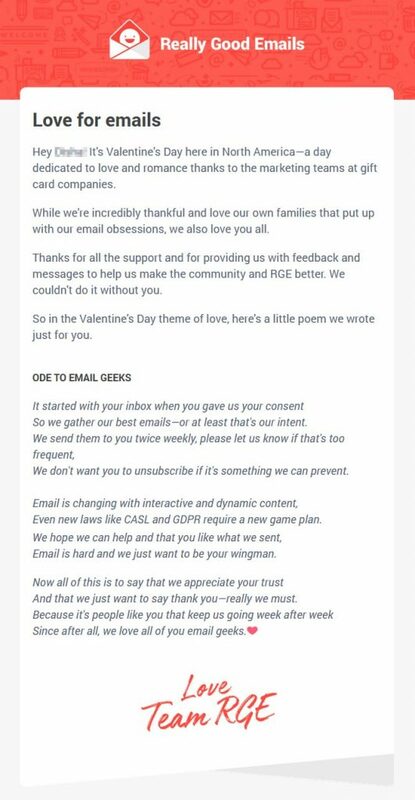 Really Good Emails sends a beautifully-written poem to their subscribers on Valentine’s Day. For ecommerce or retail industry, marketers can promote their sale or any other offers they have on the web store. Rue La La sets a nice example for occasion-based email newsletter. Sending a client’s success story or testimonials can build stronger trust than any other words of praise. You can send out an email newsletter that shares a gripping success story of another individual who shares the same aspirations as the reader. Such emails show the subscriber that dreams do come true… and your company can be the catalyst to make them real. Here’s an example by Great Escape Publishing. The email is a bit long, but it presents such an inspiring story that you are compelled to read it till the end. The main highlight of this email is that it does not have too many visuals and that makes it easily accessible for everyone. The underlined CTAs easily grab the reader’s attention and encourage them to click through. Whether it is your recent blog posts or a downloadable resource, you should always promote them through your email newsletter. We strongly recommend this because it has the sole purpose of educating the subscriber rather than selling. Here’s a newsletter example by Listrak. The crisp copy and distinctly placed CTA would draw a higher conversion rate. Whenever you have an event or webinar coming up, be sure that you promote it through your email newsletter. This will make your subscribers aware of the big day and build your brand reputation. It will also bring more attendees to your event. 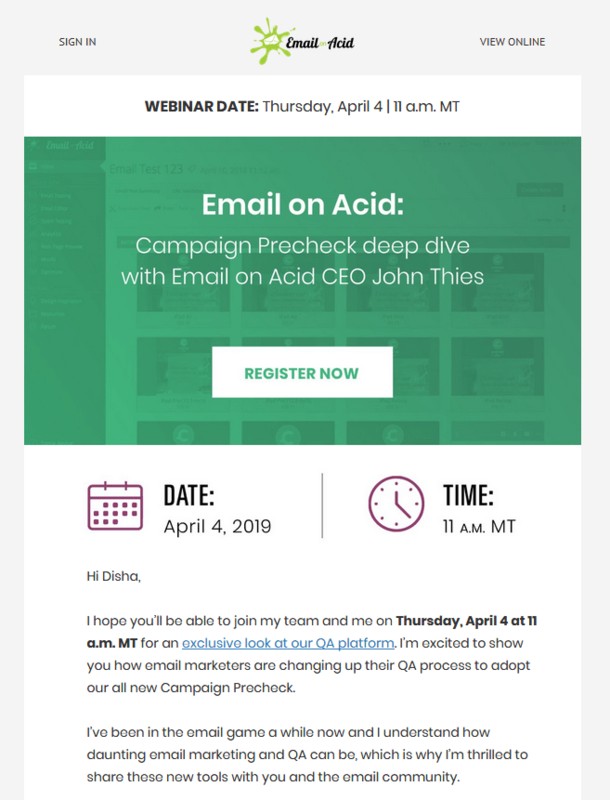 Take a look at the short and sweet invitation email by Email on Acid. In spite of being a plain text email, it is sure to leave an impact on the reader. Put on your thinking caps and come up with an innovative idea for your email newsletter. Consider the latest email design trends and try using interactive elements in your email. It will impart freshness to your email newsletter and make the subscriber look forward to your emails. Take a look at the email newsletter by BBC. It incorporates visually appealing elements with click-based event that makes the email cut through the noise in the inbox. Click on the image to view the live email. When it comes to email newsletters, strive to deliver value to the reader. It is not always about something out of this world; just providing the subscriber with information they are looking for would also work wonders. If you want to create awesome newsletters for your brand, EmailMonks can help you out.